In collaboration with Greenpeace’s Detox campaign, the official World Cup sponsor has laid out a credible plan for the elimination of per-and polyfluorinated chemicals (PFCs) and set key milestones to achieve full supply chain transparency. "Today's announcement represents a major step towards the toxic-free future we need. 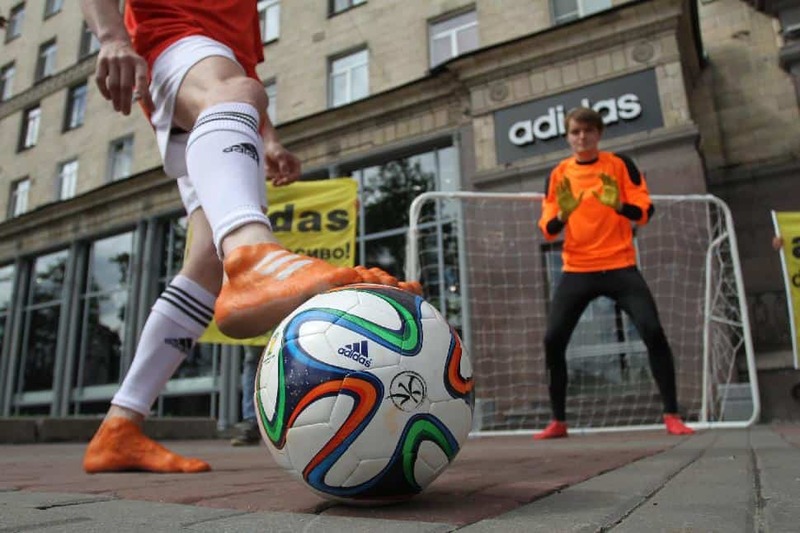 This credible approach with achievable milestones shows adidas is back onside with Detox," said Manfred Santen, Detox campaigner at Greenpeace Germany. As part of the agreement, adidas will ensure 99 per cent of all its products are PFC-free by 2017, leading to full elimination by 2020. PFCs are used in the manufacturing of clothing and shoes to keep them dirt and water resistant. However, once released, these chemicals are known to accumulate in the environment and can impact upon human health, damaging the immune and reproductive systems, as well as leading to thyroid disease. The brand has also set ambitious goals to achieve full supply-chain transparency by 2020. In line with the 'Right-to-Know' of local communities and the brand's customers, adidas will publish discharge data from 99 per cent of its Chinese suppliers by the end of 2014 and 80 per cent globally by mid-2016. The textile industry remains one of the biggest polluting sectors in China, where it is estimated that half of the rural population has no access to drinking water that meets international standards. The company committed to Detox three years ago, but up to now, it has failed to take the credible steps needed to meet its 2020 target. 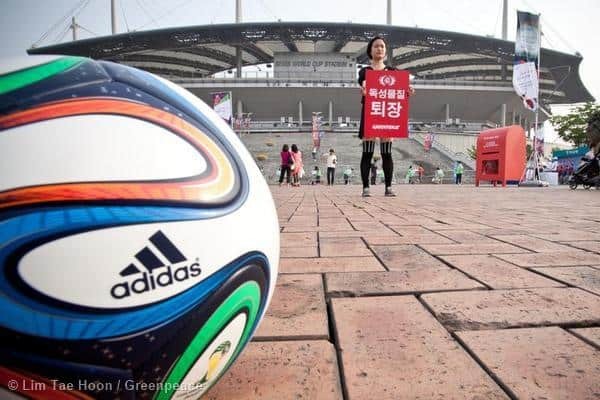 Over the past three weeks thousands of sports fans, volunteers and cyberactivists joined Greenpeace call on adidas to come clean, following an investigation into hazardous chemicals in football products made by adidas, Nike and Puma. 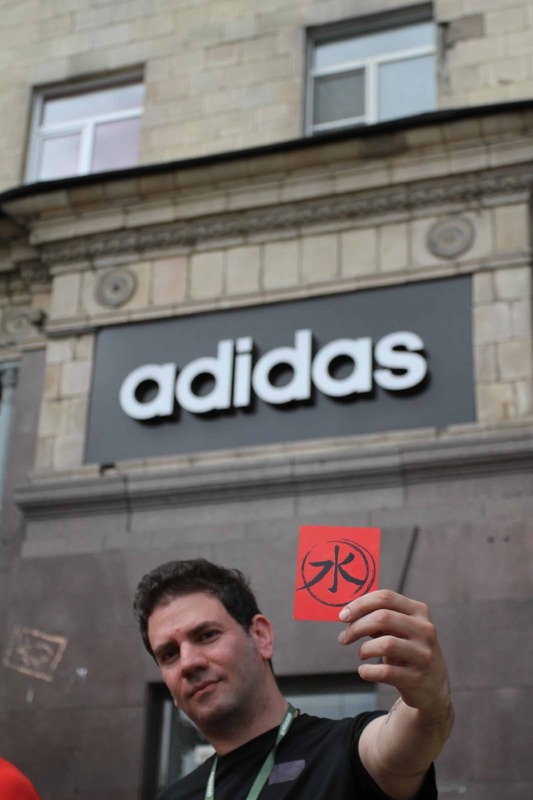 Hundreds of activists in more than 30 cities worldwide took action at adidas shops, while thousands sent letters to CEO Herbert Hainer. 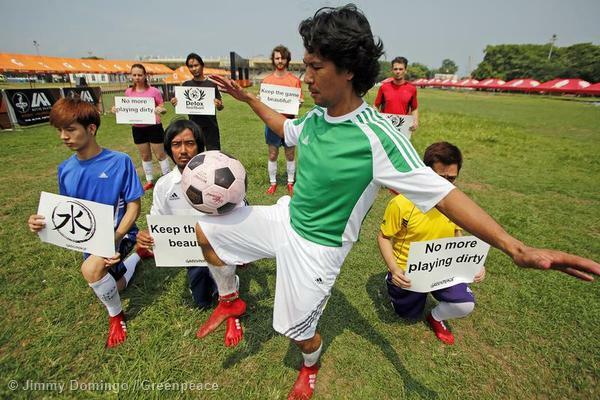 "We have once more seen the strength of people power – adidas has listened to the global call for action and accepted responsibility for its environmental footprint. With this news adidas has regained its position as a Detox frontrunner in the sports industry - the world is watching and waiting for Nike and Puma to catch up," concluded Santen.